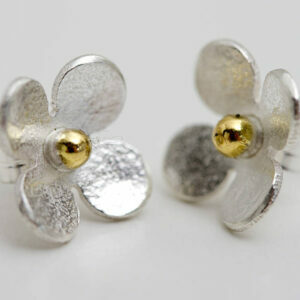 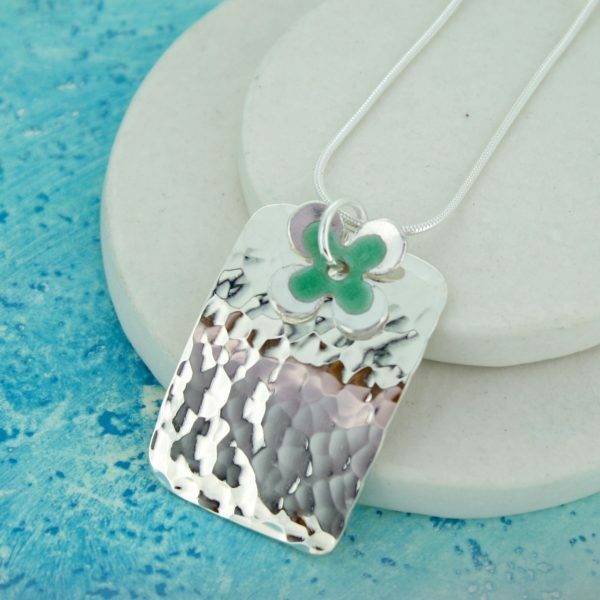 Enamelled daisy on a hammered silver pendant with a silver snake chain. 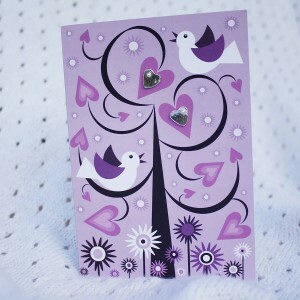 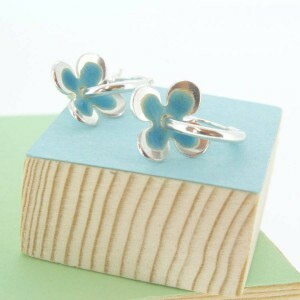 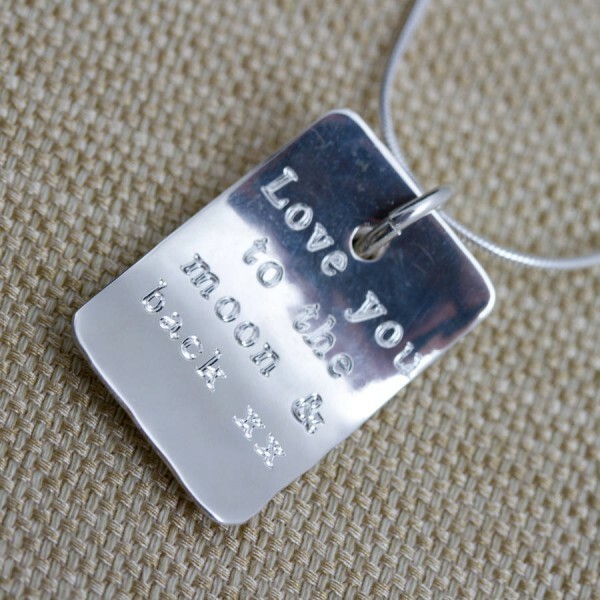 This piece can be engraved on the reverse with your own message. This gorgeous enamelled pendant in a range of colours would be perfect to complete any outfit but particularly for a wedding or summer party. 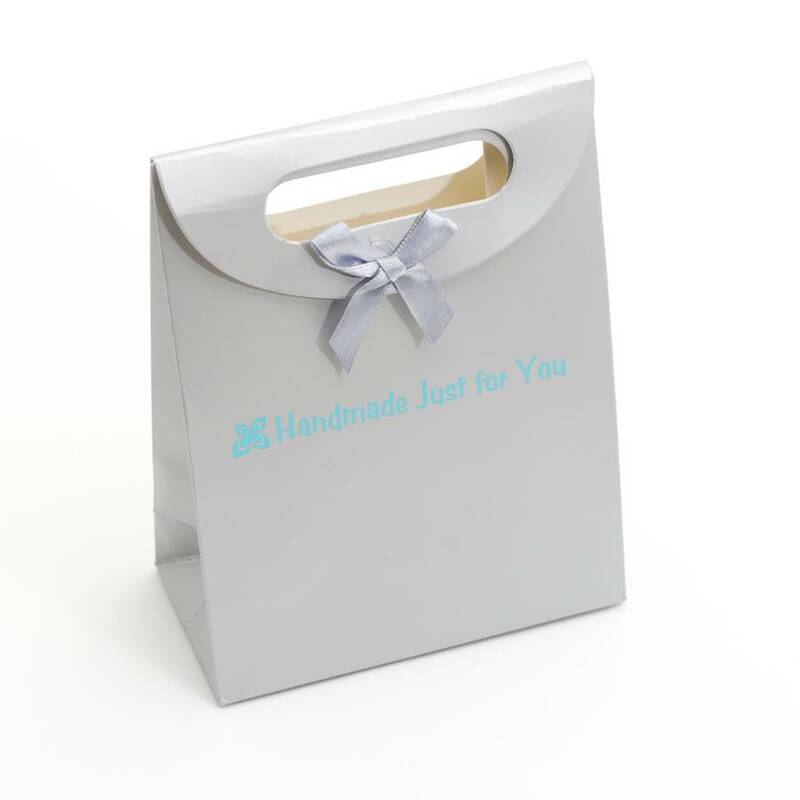 They would make a great gift for any woman who appreciates an understated and uncluttered style – mum, sister, daughter, wife or girlfriend. 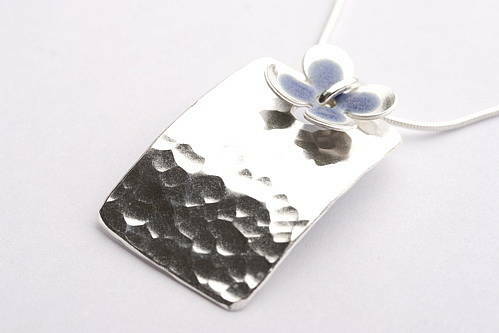 The pendant would be just the thing for Christmas, birthdays or anniversaries. 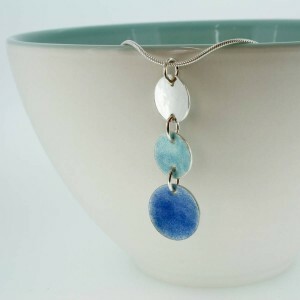 The enamels used are transparent vitreous enamels which have been fired in a hot kiln in my Cornish studio. 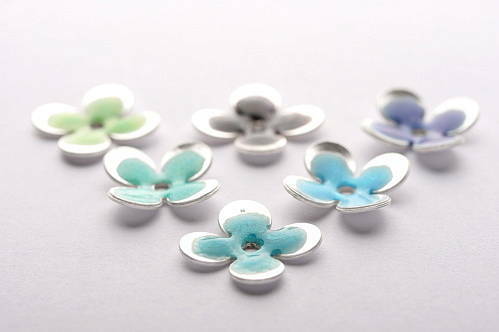 Colours clockwise from left – spring green, purple, light blue, turquoise, peacock blue, sea green The pendant measures approx 3.2cm x 2.2cm. You can personalise the back of this pendant with your own message of up to 30 characters including spaces. 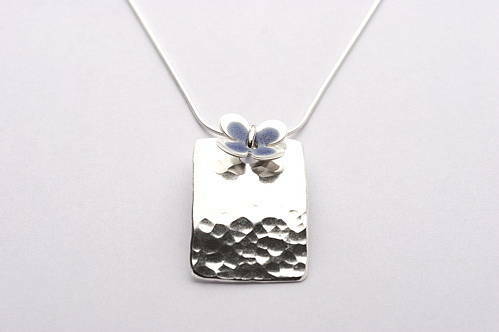 The pendant measures approx 3.2cm x 2.2cm.